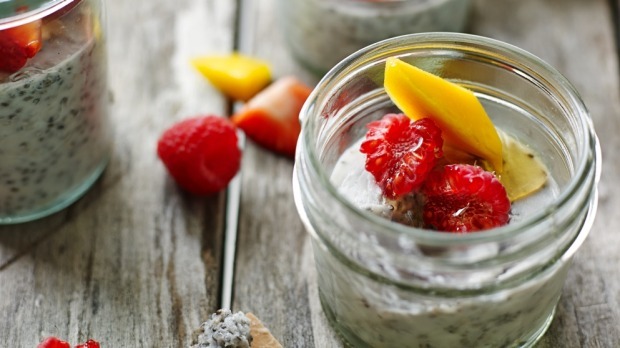 Successfully saved Chia seed puddings with fresh fruit paleo recipe to your Calendar. You can also save the ingredients to your Grocery List. Chia seeds are absolutely packed with goodies, including omega 3 fatty acids, calcium, potassium, vitamin C and antioxidants. These puddings are really simple to make and the flavour combinations are endless. As the seasons change, you can experiment with different fruits, and instead of coconut cream, try using coconut water, nut milks, vegetable and fruit juices, or even teas.